I loved the final scene in the Deadhouse! I agree it's not up there with his best, but still a jolly good read. Excellent review - thanks. He'd used some of the same elements & themes in his earlier books eg poison & Lydia Gwilt in Armadale, but I always love reading him & it's always good to have an edition with a good Introduction & notes. 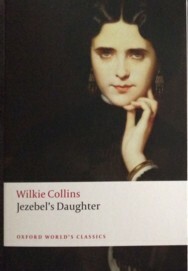 Nice to see some Wilkie Collins reprints! I just started Armadale, must put this one on my to-read list. Armadale is wonderful, if very confusing, so many Allan Armadales! Lydia Gwilt is such a strong woman & worth any amount of confusion. Thanks for this. I've read his more well known books and enjoyed them, so I might get around to this one too, especially as you say it isn't too long! It's definitely worth reading because it picks up those preoccupations that are always in Collins' work. Lots of sensation, too. I really liked this (just read it too). I like Collins in this mood, and prefer it to things like The Moonstone or The Woman in White (though I love those too). He really made me sympathise with Madam Fontaine which isn't bad going! Yes, there wasn't much mystery about who was doing what to whom but I did enjoy Madame Fontaine & Jack Straw. Adding this book to my shopping list, Lyn. 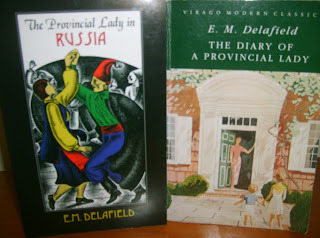 I was interested to read Desperate Reader's thoughts as I feel the same way about The Moonstone and The Woman in White. Really must buck myself up to give Armadale a try...sounds like a name chart might be in order. Armadale has one of Wilkie's best heroines, Lydia Gwilt. The plot is mad but always interesting & shares some of the same theme as JD. It's good to see some of the lesser known novels being reprinted.